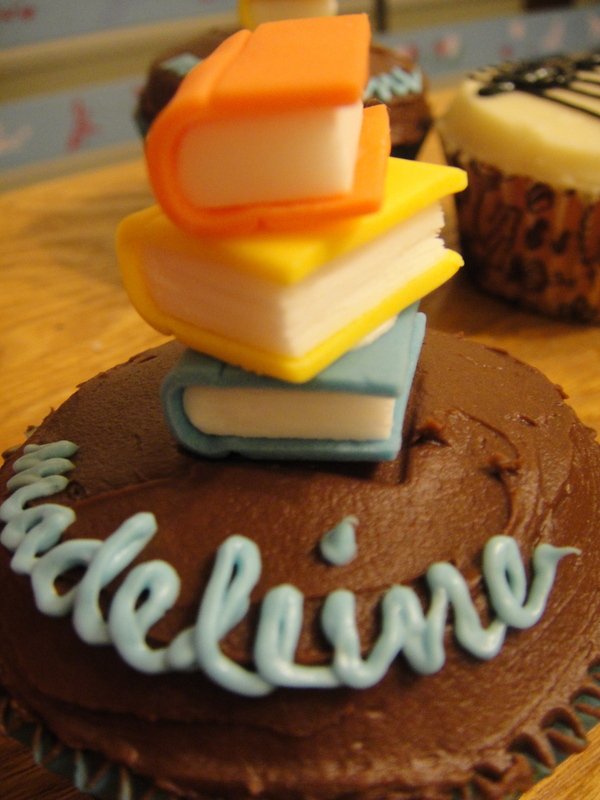 i have a co worker, madeleine, who made me a peach cobbler for my birthday…so for her birthday, i wanted to make her cupcakes…i knew she was in a book club, so i did some research of books for decorations. karon, my other co worker, got me an apple gift card for my birthday, so i wanted to make him a little something, too. he sings for his church, so i wanted to do musical notes. 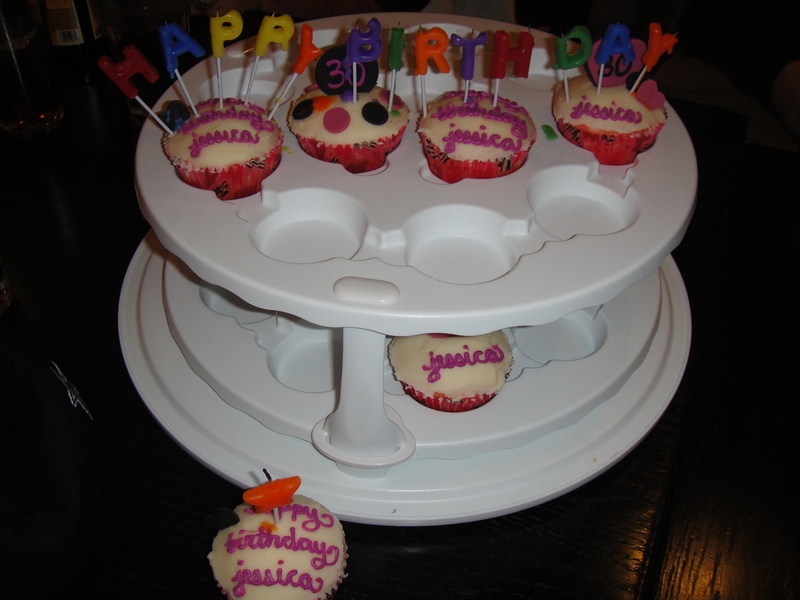 my dear friend, jessica, also celebrated her 30th birthday…she is the one who gave me the cupcake holder for christmas, so i got to make her birthday cupcakes and display them in my cupcake holder!! my favorite tool to pipe lettering is a ziplock bag. until i find something better, it will be a ziplock bag. i pipe better when i write in cursive. my print is good on paper, but awful on a cupcake. i don’t know why that is. anyways, there you are! cupcake madness!!!!!! This entry was posted in baking, birthdays, cupcakes, friends, frosting, icing. Bookmark the permalink. 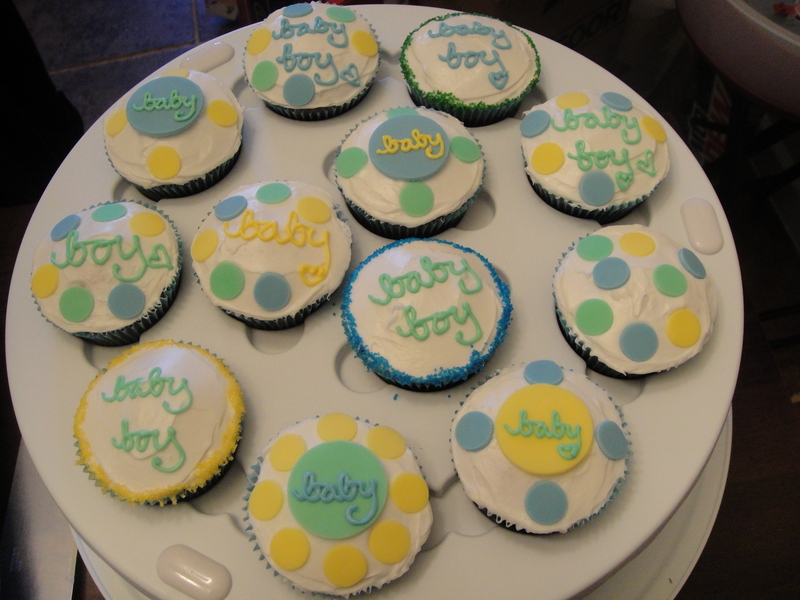 Your baby shower cupcakes look fab! I have been trying to find inspiration for baby shower cupcakes as I am making some tonight and these are lovely, a really fresh alternative. I’ll pop some pictures of mine up once they are finished to share too! thank you! my friend gave me an idea to make baby buggies out of cupcakes, but i think i’ll use them for later! 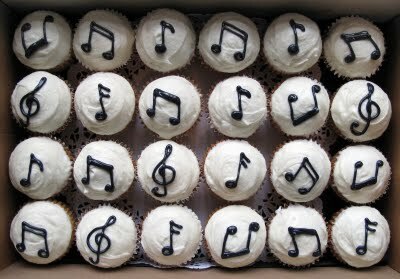 and do post pictures of your cupcakes because i would LOVE to see them!! These are great… I especially love the little books! thank you! those were one of my favorites to do! i have a baby shower i am co-hosting, so i’ve got to think of some fabulous decorations for that one!!! oh! 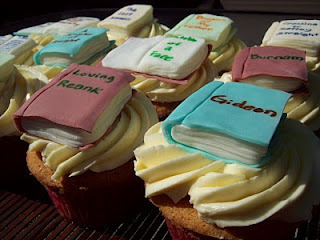 the white icings are buttercream icing and then the one with the books is just a plain chocolate icing! if i draw designs on the icing, then i just use a knife to smooth the icing over. on the musical cupcakes, i did a take on sprinkles cupcakes-how they have their icing piled SO HIGH. i was really liking how that buttercream icing turned out, so i decided to pile a little extra on there. haha. and i HATE SUGAR ICING! weird, because i love making cupcakes…!!! i love piping, though. i think it’s prettier and cleaner and more fun! Ooh I like!! May have to give that a go 🙂 I love piping, especially when you have a nice bright coloured icing to pipe! 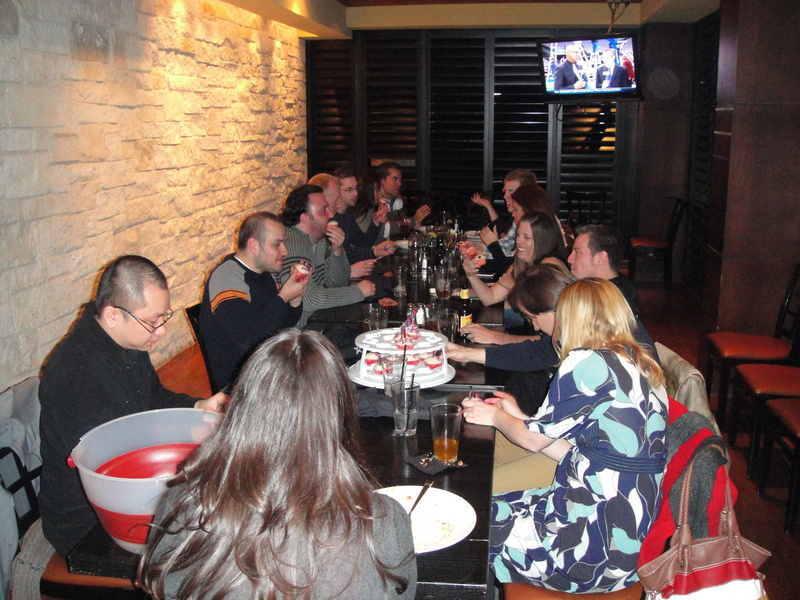 Very fun! you know what my favorite thing to use for piping letters is? a ziplock bag. i don’t like piping letters or words with a metal or hard plastic tip. and all my icing tips for piping got thrown away by a ghost, so that’s why i’ve resorted to a knife until i get to a michaels or hobby lobby to get more tips. ugh!! Ooh yes, I saw your comment about that! Such a good idea. Most of the greatest piping techniques I have used, are using a bag – You can snip how large you want it to be! I’m not very good at the writing though so might have to give that a practice!! i think you’ll like using the ziplock because it’s small and easy to write with. i really should take a piping class, i heard some colleges have them. haha!!! And I’m hungry for loooots of them!! Can you UPS me some?? HAHAHAHAHA! 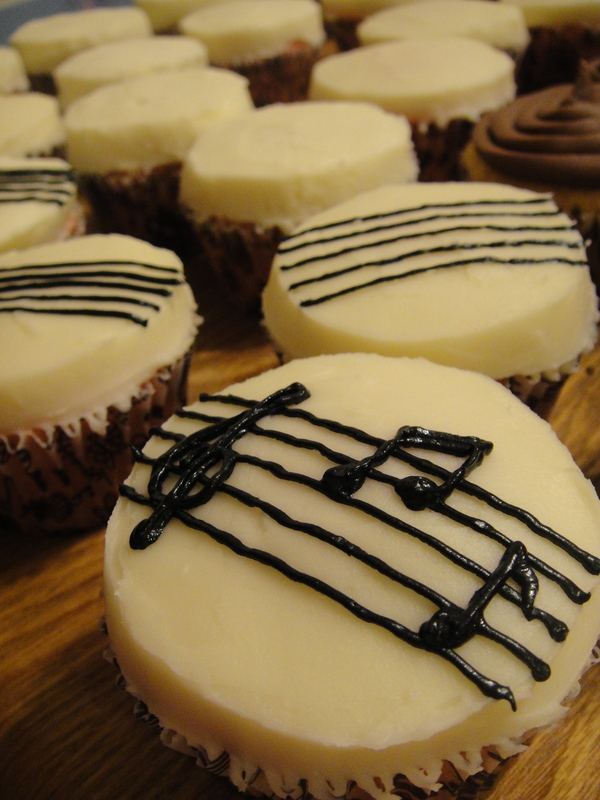 wouldn’t it be COOL if we could overnight cupcakes? i’d be BROKE if i could have all the cupcakes i want sent to me! we’d need more than “fragile” stickers on the boxes. maybe “FRAGILE, THESE ARE CUPCAKES-KEEP BOX UPRIGHT!” stickers. hahahaha. Awesome!!! I love your creativity!!! Those little books and notes are adorable. Thanks for sharing. thank you!!! i swear, i’m not anywhere close to most of these baking bloggers. i feel like a little person, so i must refine my cupcake decorating skills to be up there with the most of them!! thank you, thank you! i swear, i stay up until ungodly hours of the night reading and stumbling upon random blogs. i love it…until i have to wake up in the morning. haha! 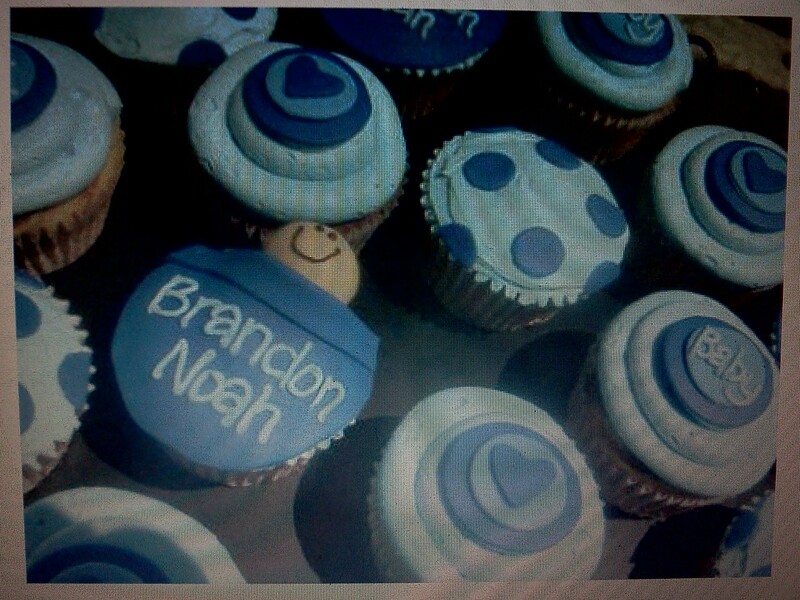 Im not a big cupcake fan, but those look very cool. You are a nice person, for putting that much effort into cupcakes for other people. wait. you’re not a cupcake fan? aside from technology/electronics (am i correct? ), what are you a fan of? and thank you for the compliment, i don’t think my friends realize the blood, sweat, and tears that i put into my cupcakes…but they do make good blogs! haha! i am a fan of your blog, and I CAN’T BELIEVE YOU’RE IN HIGH SCHOOL!!! that’s nuts! i admire your bucket list, and i would be super jealous if you learned even half those languages before i did. i would make a terrible catholic. i grew up in a catholic-dominant island but i never did all that “giving up for lent” stuff. i’d be screwed if i did. some things i’d cry if i gave up would be: coffee, red bull, mt. dew, rice (typical asian, but according to my co-workers, i’m “asian-adjacent”), tabasco/hot pepper, and pastries. and i finally got around to commenting on your blog. i just died laughing so bad when i read it. everyone takes a piece and raves about it and talks about how great it is-you did the exact opposite and you should just make it a weekly thing or something. find awful or crazy “anythings” and just *laughing again* critique it! 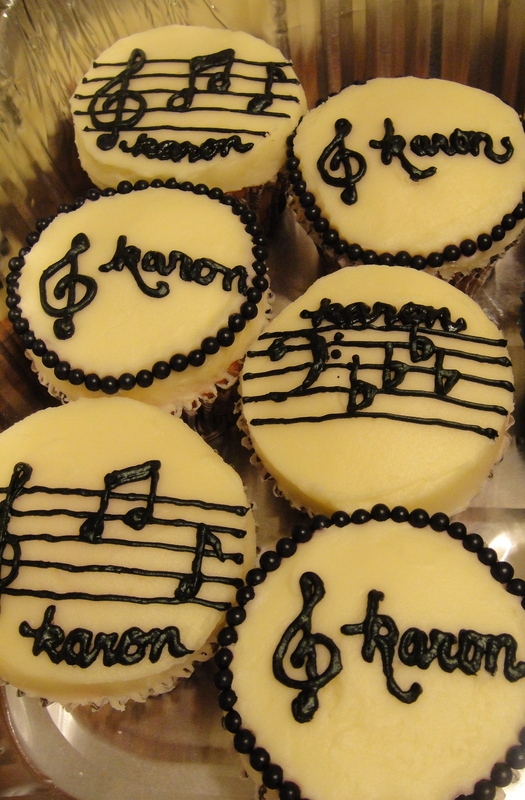 It’s unbelievable That you are able to write so beautiful on such a small thing as a cupcake! Wow! I also really like the design of all of them but I guess that I’m mostly impressed by the books! How did you do the pages? I tried to do books once but failed on the pages, they just didn’t look real at all! thank you!……i’m gonna need to start reading your blog. i think my eyes kept getting bigger as i was reading the titles…and i think my friend would enjoy reading your blog as well. i should tell her about it! 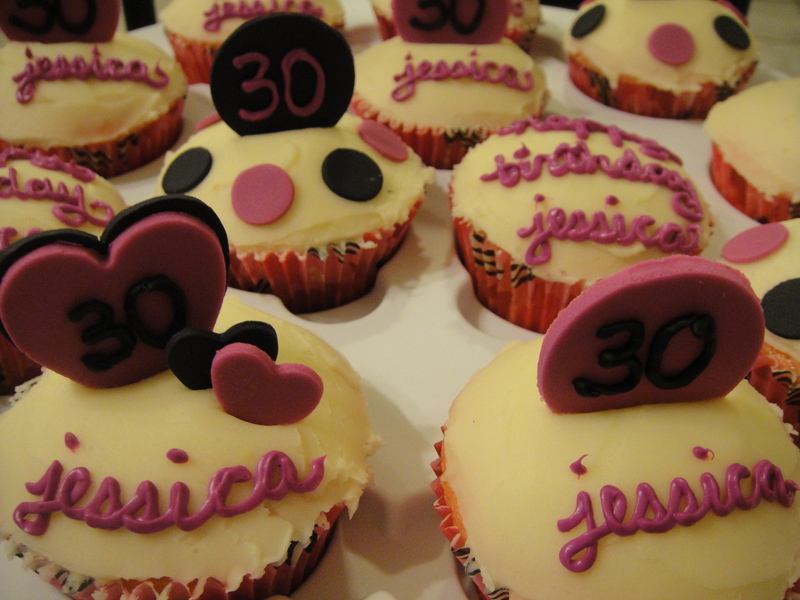 i think my favorite cupcakes (before the books) were the hello kitty ones i made…even though it took me 12 hours NON-STOP to do them. i wanted to strangle myself for putting myself through that pain. thank you! i kinda get inspiration from reading up on other blogs or googling images! and by the way, your blog is ADORABLE! i’m in love with it! i should tell my friend about it since she just got married last year!!!!! i think i’m better at EATING cupcakes than making them. 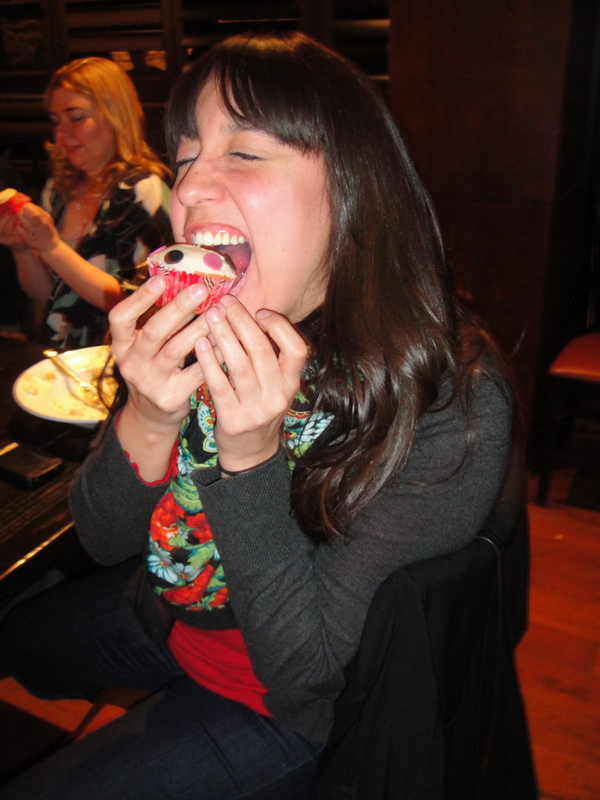 i went to a cake competition last night….i’ve never consumed that much cake and ICING in one day, EVER. i was seriously sick to my stomach…..i loved it! Your cupcakes look great. I really like the little books, I’ll have to try those. they were really fun! i had no clue how to do them-actually, i usually have no clue how to do anything i do until i just wing it. i guess i should be glad that my associate is in a book club since that inspired me! now, i want to make doily-type designs with fondant. that’s my new project. and i have no clue where to start. 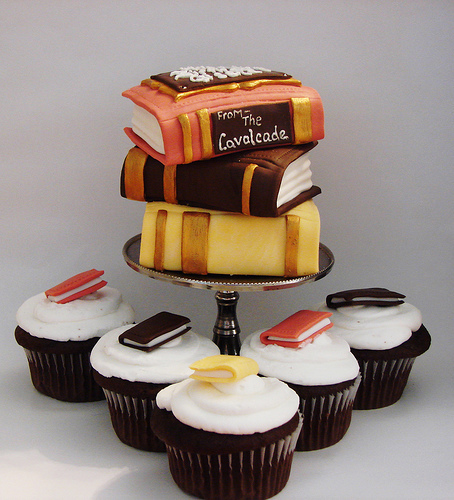 The book cupcakes look brilliant! What a great idea. thank you! i really wanted to do some books that were open, but….i took me 2 days to do those little ones, i would have fainted if i did open-faced books. haha! oh, yes! 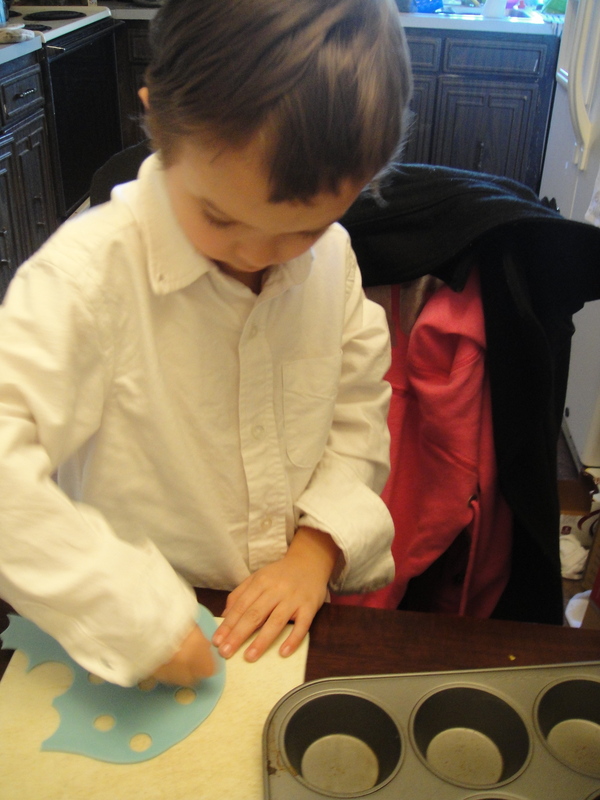 cupcakes are fun and less messy and you don’t have to cut them! that’s what i love about them! and your blog is amazing! i love it! i’m sure i’ll be learning a thing or two from you! Your cupcakes are beautiful! So beautiful that I can’t bear to eat it! And thanks for liking my post! hahaha! i don’t eat my cupcakes, either! because i’ve spent all the time baking and decorating them!!!! and thank you! aw, thank you! i aim to make them better as i go! 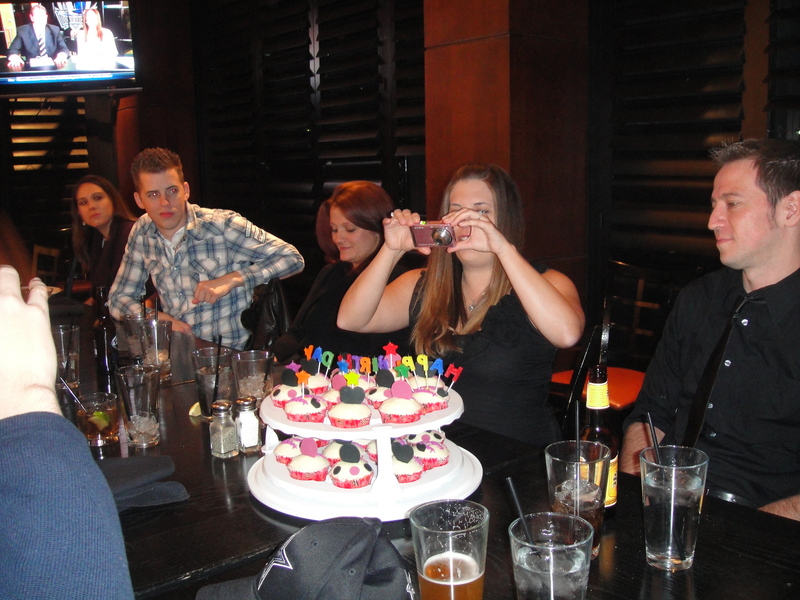 Those cup cakes were adorable. I had the best cupcakes of my life at the Sherman Oaks Mall, they were so good i bought two. I know bad girl. i ate 4 in one sitting once…don’t worry, good cupcakes are worth it! I love how you find inspiration but then make the cupcakes your own. What an awesome friend you are. thank you! you’re so sweet! yeah, i have to put a twist to my own. it makes it fun! O. M. G! So cute! Thanks for visiting my blog recenlty! 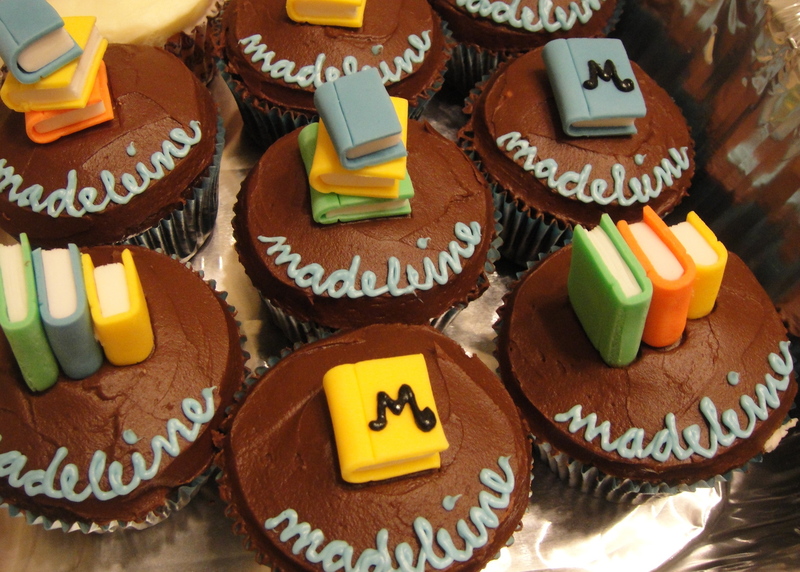 I love these cupcakes, especailly your books! I am impressed with your writing and that you just use a ziplock bag! ziplocks are my best friend in piping cases. i swear, they’re much easier for me than anything else. it’s the weirdest thing! Wow, they all look amazing! All your cupcakes are quite adorable!! Those are all such fun cupcakes! Thanks for sharing! Wow! These are soooo cute! Great job! These are incredibly great creations! You have steady hands, your writing is great! 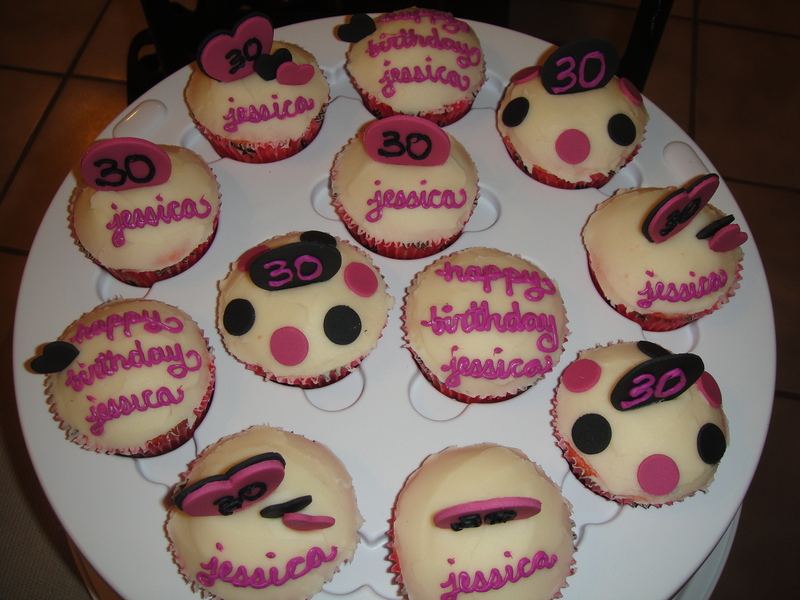 I use piping bag too with tip attachment number 2 or 3 to write on cupcakes. All the best. i just bought a #2 yesterday! haha! and i was going to blog about everything i have bought this week! that’s hilarious! that’s pretty much the size of the tip i write with. i really want a #1, though…i want to try LACE designs!!!!! 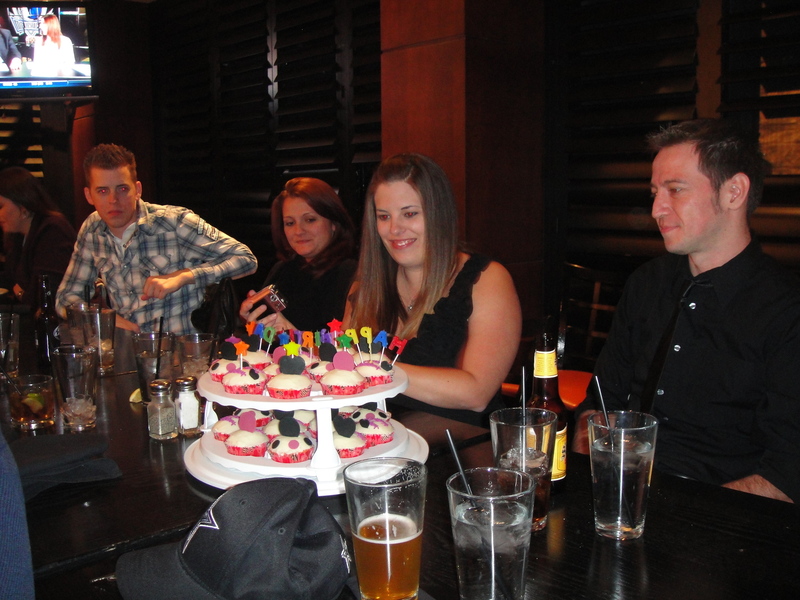 Thanks for visiting…love your mad cupcakery skills! why, thank you! i will be making sock monkey cupcakes today! yay! WOW are you creative!!! They look great! I really love the little books! They’re so cute. Your cursive is probably better than your print because cursive is more one continuous motion. My handwriting is pretty terrible when decorating in either cursive or print 😛 Thanks for visiting my blog! Your cupcakes are beautiful. Looks like a lot of love went into them. Your cupcakes are beautiful. Looks like a lot of love went into them. I love the books. Your cupcakes are adorable. I am surprised that you use a plastic bag to pipe letters. I’ll have to try it. Awesome work. And I think your little helper is adorable! Try piping right onto the cupcake top without a base frosting. I hate too much sugar frosting as well. Especially for kids cupcakes. Using chocolate looks best, but vanilla works too. Wow, your cupcakes are gorgeous. I hope I can be good with decorating too. lol, i’m glad you enjoyed! i’m always hungry. everything i read and watch that is food-related kicks up my craving to eat. hahaha. Reblogged this on The Blogging Pot.